After staying in the capitol of Ireland Dublin the whole winter The Sea Stallion will go back to Roskilde in Denmark in the next summer. The voyage will start at the end of June. The Sea Stallion is planned to leave Dublin the 29th of June at 12am. 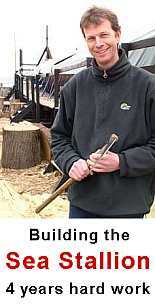 The Viking Ship Museum and its Irish partners are working on making a Viking event or Viking market in Dublin on the day of leaving. The route for the Worlds largest Viking Ship will go south of England passing through the Canal on its way to the North Sea. The weather decides which harbours the ship will visit but the Viking Ship Museum confirms that they are working on a plan of letting the Sea Stallion go up the Thames and visit London. This plan however is not yet ensured. After leaving England The Sea Stallion will pass the North Sea. 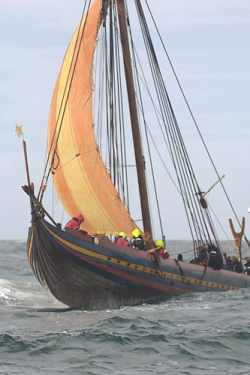 The Viking ship is expected to arrive in at the Viking Ship Museum at the 9th of August. 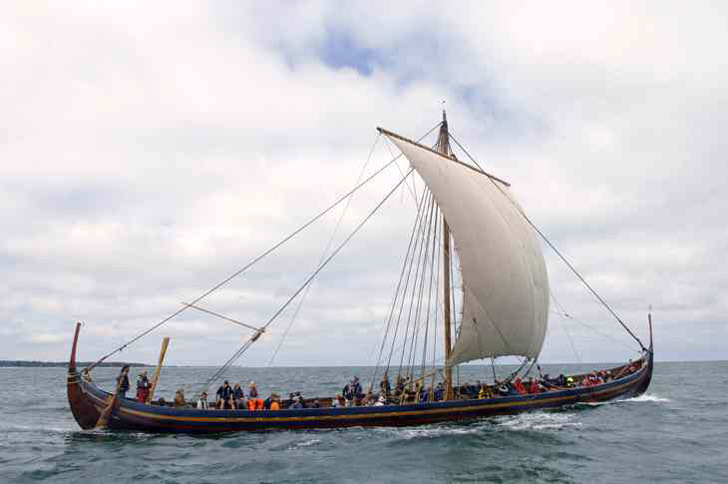 The museum has planned a four days Viking market at the harbour of Roskilde to celebrate the home coming of the Sea Stallion. For safety the Sea Stallion will be followed by the ship Cable One the whole way from Dublin to Roskilde. Recently the Scandinavian bank Nordea has donated 3 million kroner (aprox 275.000 £ / 400.000 Euro) to help the Viking Ship Museum hiring the ship. 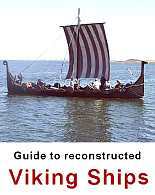 The Viking Ship Museum expects to need close to a million Euro more to pay for the full costs of the voyage. Lately it was announced that The Sea Stallion needed crew members for the tour, but Preben Rather Sørensen, The Viking Ship Museum, says to Viking Today that now 200 men and women from all over the World have applied for being member of the crew - many of them very qualified. Anyhow the museum still accepts letters and mails from people who would like to participate on the rough tour.